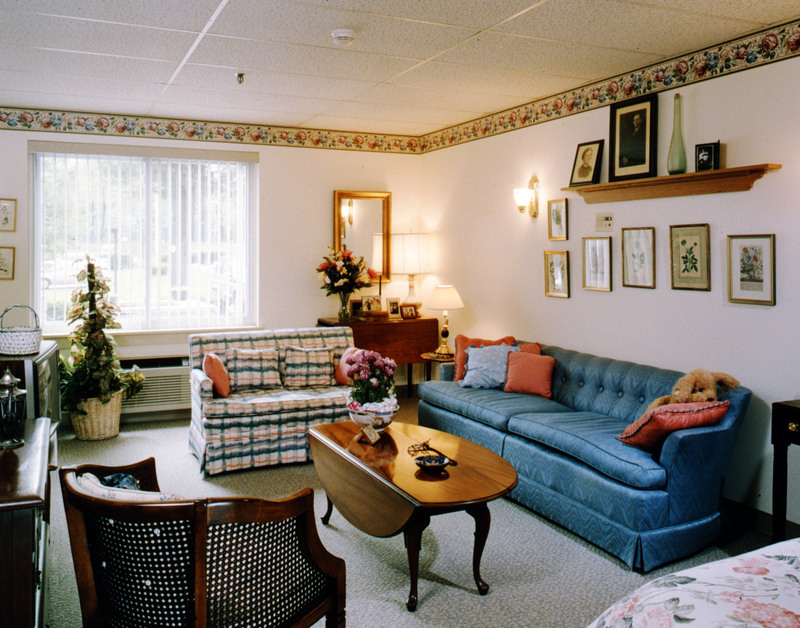 Tasked with converting an underutilized nursing center wing to an assisted living facility for individuals with memory impairment, we took advantage of wide corridors and spacious rooms to create a relaxing environment promising comfort and security. We also converted a former nurse’s station into a fun, inviting “Country Store” memorabilia room. 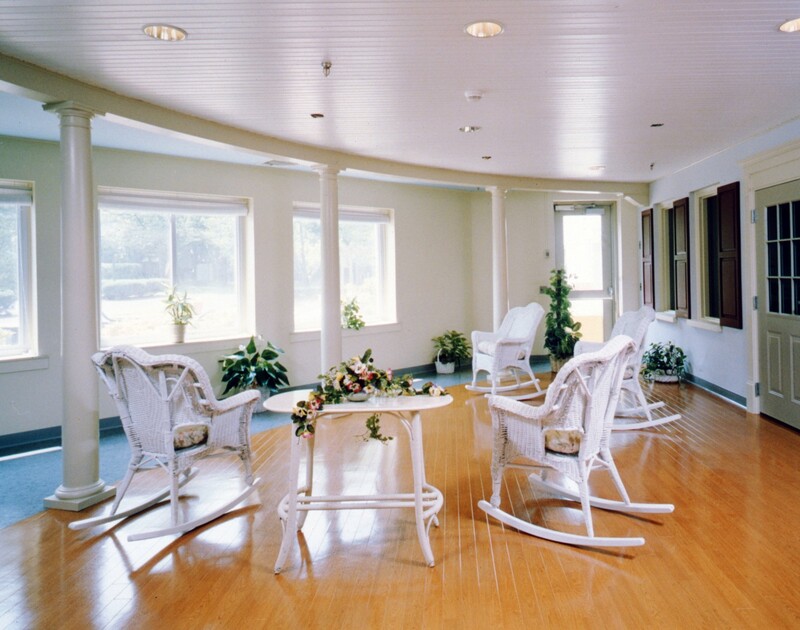 Three resident rooms, adjacent to the outdoor patio, were removed to create a bright, inviting garden room. In addition, we gave the once sterile environment a warmer, more homelike feel overall. 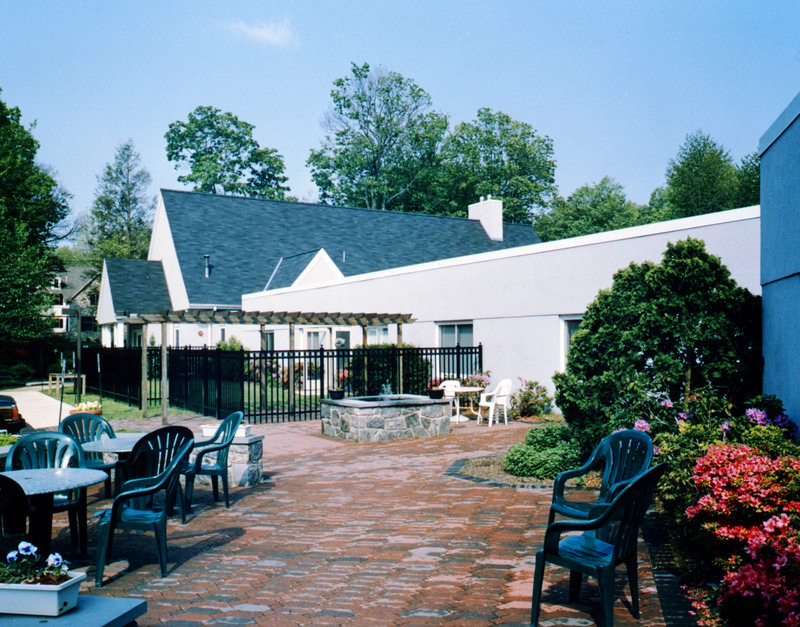 With a brick patio and lovely landscaping, the outdoor area of the assisted living wing we designed for people with memory impairment could easily be mistaken for a local country club. An attractive black wrought iron fence ensures individuals’ safety, while the entire area is integrated with the outdoor areas that other residents enjoy, fostering a sense of community. 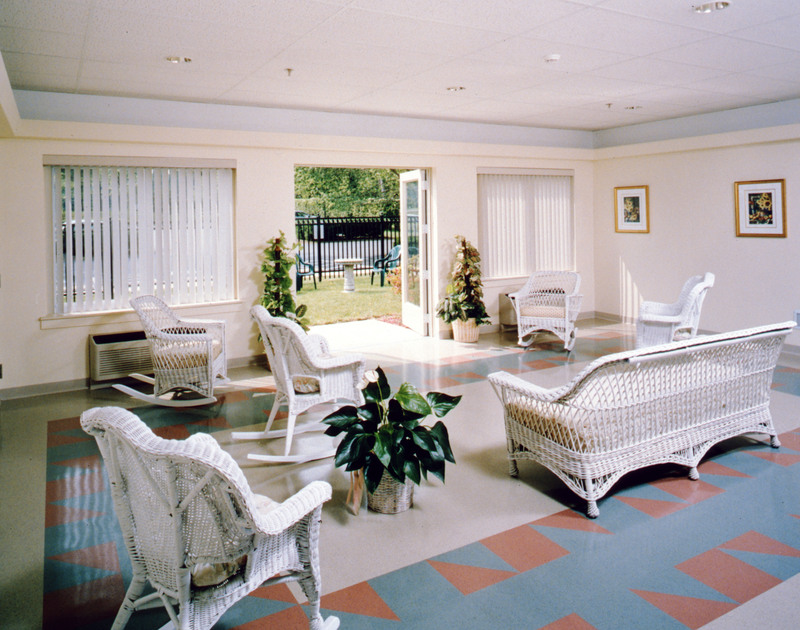 The cheerful garden room activity area boasts an attractive layout with light wicker furniture, an easy care vinyl floor in soothing shades, and plenty of space for residents with wheelchairs or walkers to mingle about. Recessed lighting casts an even glow in the room that doesn’t compete with the natural light from the large windows, and the French doors allow a stroll outside to the lovely fenced-in patio and garden. Created with plenty of space to offer a warm, comfortable environment, the resident’s suite living area is undeniably a relaxing place to be. Walls and carpets are provided in neutral tones, allowing residents to surround themselves with familiar furnishings and special keepsakes. The large window continues to connect individuals with the outside world, even when in their own, private space.